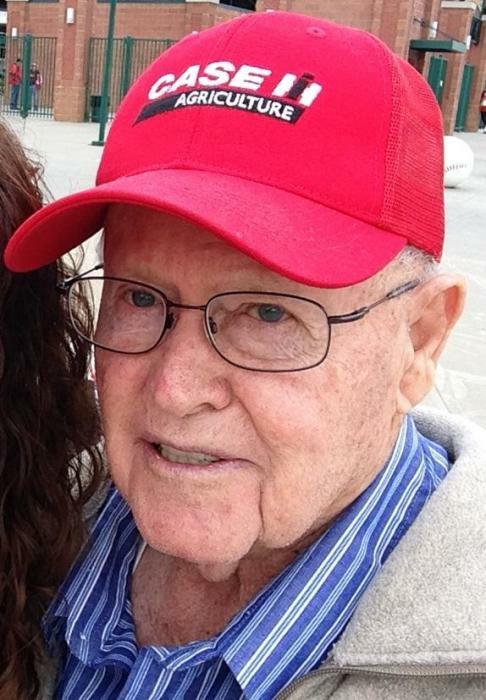 Leland Wesley Towne, 86 of Curtis, NE passed away on September 10, 2018 at Edgewood Vista in Grand Island, NE surrounded by his three loving daughters. Leland was born to William Edmund and Jessie Jane (Barry) Towne on May 9, 1932 in Maywood, NE. He attended the Viaduct School and then went on to graduate from the Nebraska School of Agriculture in 1950. He helped on the Towne family farm until he joined the army in October, 1952 during the Korean War. During that time he received the Korean Service Medal with one Bronze Service Star, the United Nations Service Medal, Good Conduct Medal, National Defense Service Medal, and Meritorious Unit Commendation. He was with Company "C" 194th Engineer Battalion (Combat). He was released as a Corporal (T) from active military service in October, 1954. Leland was a member of the American Legion, Carl Heath Post 95, Curtis, NE. He then went back to the family farm. He graduated from the Nebraska Trade School in Milford, NE as a machinist in 1957. He worked at Rohr Aircraft Corporation in Washington and California. He moved back to Nebraska and did some construction work. On June 1, 1967 he married Lois Spencer and later in 1970 they moved to Curtis to farm with his brothers. They were blessed with three daughters, Lynda, Tenna, and Leanna. To others, Leland may have appeared to be a shy and quiet guy, but he was definitely a strong family man who worked very hard to provide for the ones he loved. He enjoyed working countless hours on the farm tending to late-night calving checks, plowing many miles in the corn field, and lending a hand to his brothers and fellow neighbors. He loved to watch the calves romp and play, take his grandkids on tractor and 4 wheeler rides, and have his nieces and nephews help out or 'play' on the farm. He didn't know a stranger. He had a special way about striking up a conversation with just about anyone. Some of his favorite past times were taking rides through the countryside, watching Family Feud and Fox News, and rooting for the Huskers and various boxing matches. Some of his daughters' favorite memories include Tenna going for rides with Dad, giving Lynda her love for the farm life, and Leanna's love of watching Monday night football. Leland is survived by daughters, Lynda (Wade) Lange of Wood River, NE; Tenna Towne of Lincoln, NE; Leanna (Paul) Klempa of Lincoln, NE; brother Harold Towne of Louisiana, MO; eight grandchildren Joe, Craig, Kyle, Chase, Andy, Jesse, Jake, Carter; 11 great-grandchildren; one sister-in-law Beulah (Karl) Tiede; and many nieces and nephews. Preceded in death by wife Lois Towne; parents; seven brothers - William, Lawrence, Virgil, Max, Melvin, Floyd, and Leonard; three sisters - Rowena Burton, Verle Nelson, and Georgianna Ervin. A special thank you to the people at Edgewood Vista and Asera Care Hospice in Grand Island for their loving care and support during his final days. Visitation will be held at Blase-Wetzel-Strauser Memorial Chapel, Curtis, Nebraska; Thursday, September 13, 2018, 3:00 pm - 6:00 pm with the family present from 4:00 pm - 6:00 pm. Funeral services will be held at First United Methodist Church, 402 Center, Curtis, NE, Friday, September 14, 2018 at 2:00 pm with Rev. Dr. Tunde Oladimeji officiating. Burial will follow in the Maywood Cemetery, Maywood, Nebraska. Memorials may be given to the Towne family, 1402 Main Street, Wood River, NE 68883.